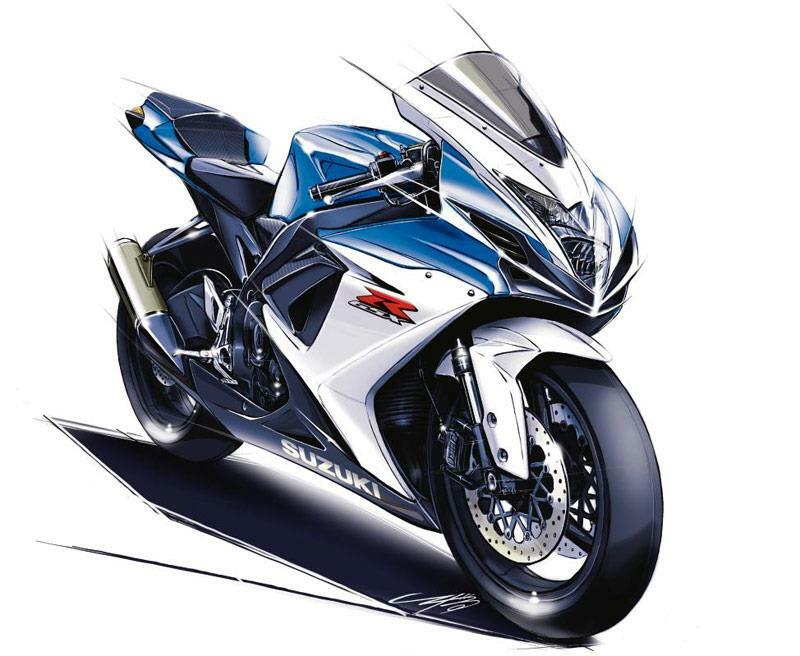 Leaked drawings of the new look 2011 Suzuki GSX-R600 and GSX-R750 were revealed in MCN at the start of August and these official Suzuki illustrations prove they were genuine – they’re all but identical. Factory insiders say the bikes have a minor engine tweak, some styling changes and a new frame. The new 600, which will be launched alongside an identical-looking GSX-R750 with the same upgrades, is set to appear at this year’s round of bike shows, with its first appearance scheduled for the Cologne show in October. Chief among the changes is a new-look air intake design, with four separate inlets, stacked in pairs on either side of the headlights. The designs also show a return to the stacked headlight design that was a trademark of the GSX-R range for much of its life, and which Suzuki had departed from with the current GSX-R600 and 750 machines. Read the full story in this week's MCN, on sale Wednesday 22 September 2010.